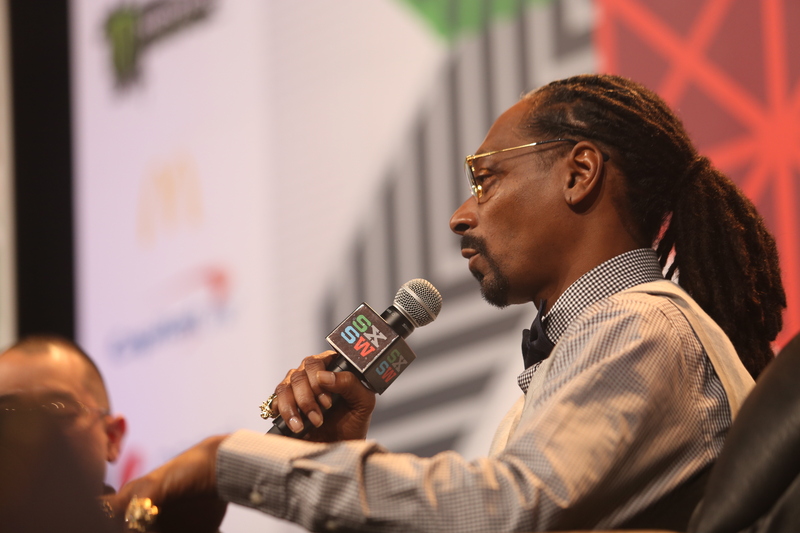 South By Southwest 2015 is nearly over — today is the last major day of the weeklong marathon. 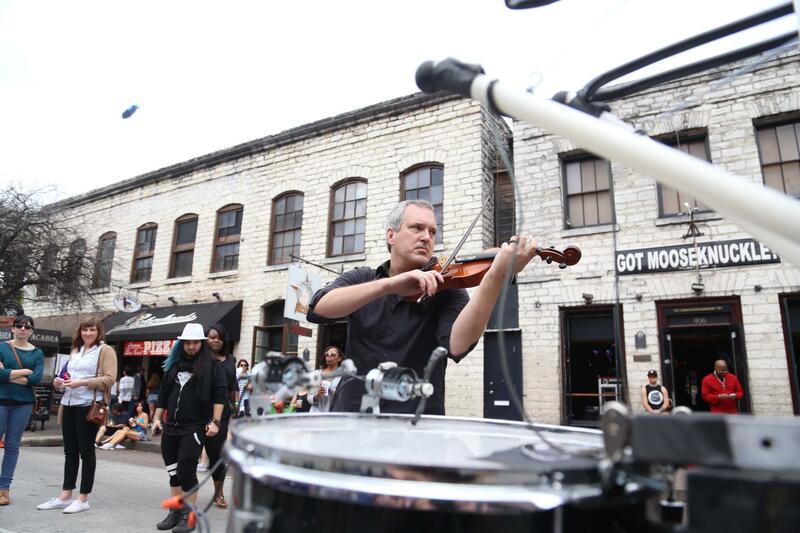 Follow us here as we continue to live-blog the best and the worst of what SXSW has to offer. For minute-to-minute coverage, follow us on Twitter at @thedailytexan. 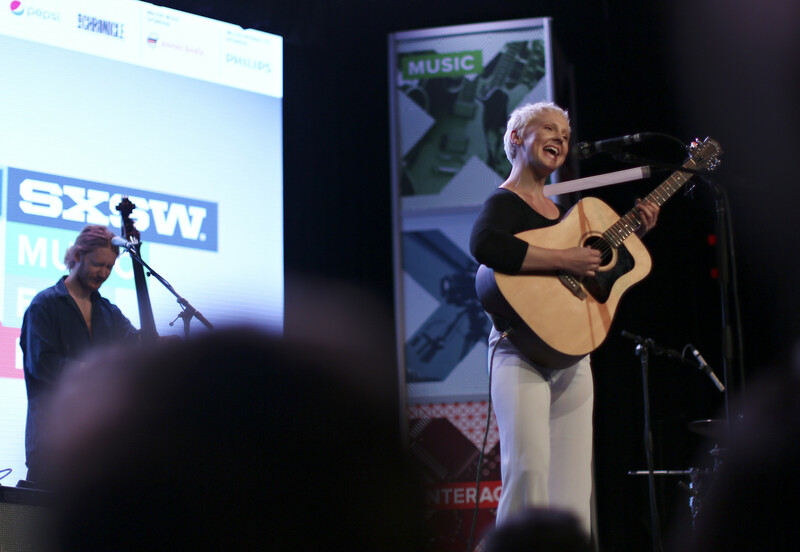 Want a recap of Friday at SXSW? Check out our coverage on yesterday's blog. Updated (3:15 p.m.): After spending hours and hours in a variety of theaters across Austin, our movie reviewer, Alex Pelham, is finally finished. Check out his final review, of the unusual and suprisingly funny "Manson Family Vacation," here. 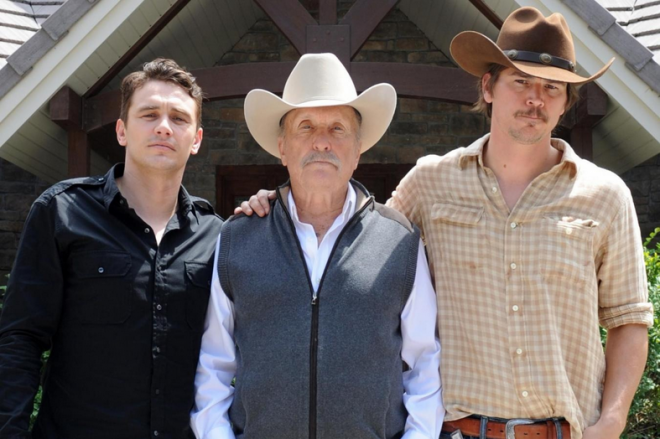 Want to catch up on all our SXSW movie reviews? We've compiled them all in one easy-to-browse list. Enjoy — and once you've seen the films, let us know what you think! Follow Alex on Twitter at @talkingofpelham and read his regular movie reviews here. Updated (2:43 p.m.): "The Boy," the latest offering from director Craig Macneill, tries to subtly document a child's descent into a vicious creature. The problem is, his approach is too subtle — resulting in a totally unconvincing plot. Although the performances are great, the movie itself is dull. Read our full review of "The Boy" here. Updated (2:14 p.m.): If there’s one thing MTV’s Woodie Awards can almost guarantee their audience, it’s variety. 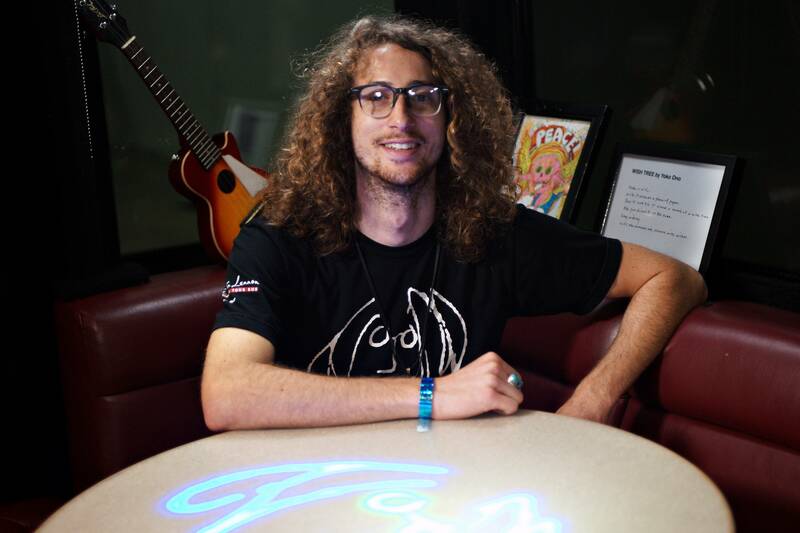 The Woodie Awards, which recognize the best in music as voted by college students, made a splash at SXSW on Friday night. Click here to see some of the night's big winners — including Fall Out Boy, Childish Gambino, Hoodie Allen and Taylor Swift. When: 10:00 p.m. – 10:50 p.m. When: 12:00 a.m. – 12:40 a.m.
For live-tweets from the concerts and from downtown in general, follow us on Twitter at @katclarksamp and @ldlopz. We'll be tweeting to the very end. ​Updated (11:36 a.m.) Our intrepid movie reviewer, Alex Pelham, is finally winding down his thorough examination of all SXSW Film has to offer. To read his reviews of "Ava's Possessions" and "Creative Control," click here. Good morning, slightly-damp festival-goers! And good news for those of you who like rain: You'll be seeing more of it today. Temperatures will linger in the low- to mid-60's for the rest of the day and into the evening, with scattered showers and bouts of drizzle between now and about 4:00 p.m. Austin is technically under a flash flood warning that's set to expire at 7:00 p.m. Want more? Check out the full forecast here. 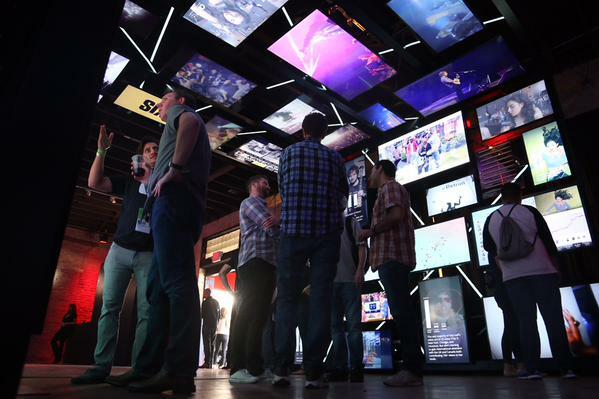 Dichroic glass finish film by 3M covers the ceiling of their booth at SXSW. They also had a photo booth, live DJ, and and refreshments. Over the course of this week, we'll be live-blogging SXSW — the good, the bad, and the outrageously hip and sweaty. Follow Daily Texan reporters, photographers and editors as we post the highlights of our work here. For minute-to-minute coverage of the best and the worst that SXSW has to offer, follow us on Twitter at @thedailytexan. 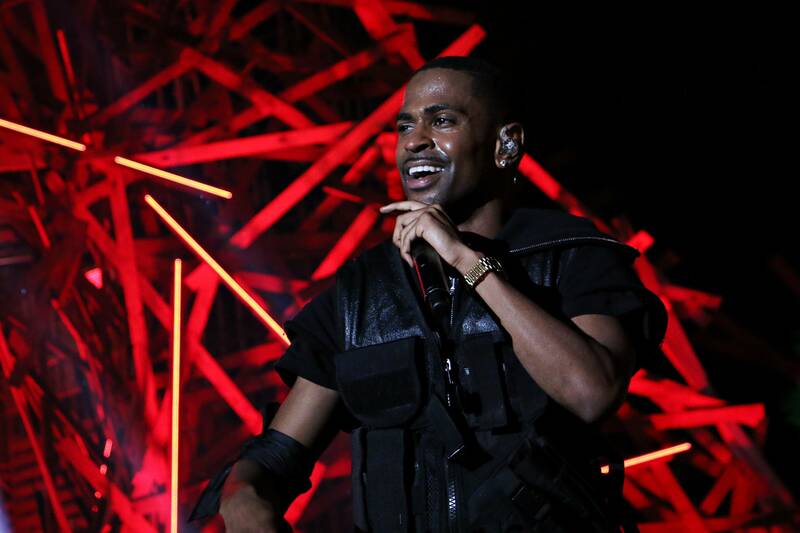 Want a recap of Saturday at SXSW? Check out our coverage on yesterday's blog. Update (7:30 p.m.): “House of Cards” showrunner Beau Willimon spoke about how he adapted the Netflix show from the popular British series and offered advice to up-and-coming directors, writers and producers. The discussion, held in the Capital Ballroom B at the InterContinental Stephen F. Austin Hotel, was light-hearted, and Willimon kept the crowd entertained with a constant stream of jokes. “First I’m going to do forty-five minutes of transcendental meditation, so we’re going to have to fit this into the last fifteen minutes,” Willimon said. Willimon discussed the writing process for a season of “House of Cards” and said that it typically starts with coming up with the big ideas and topics that the season will explore. Willimon talked about failure and said it is a key ingredient to the creative process. Willimon opened up the floor to questions and answered a variety of different queries. Many of the questions were about issues of race, diversity and gender in television and on “House of Cards.”Willimon said that he aimed to make the show as apolitical as possible. 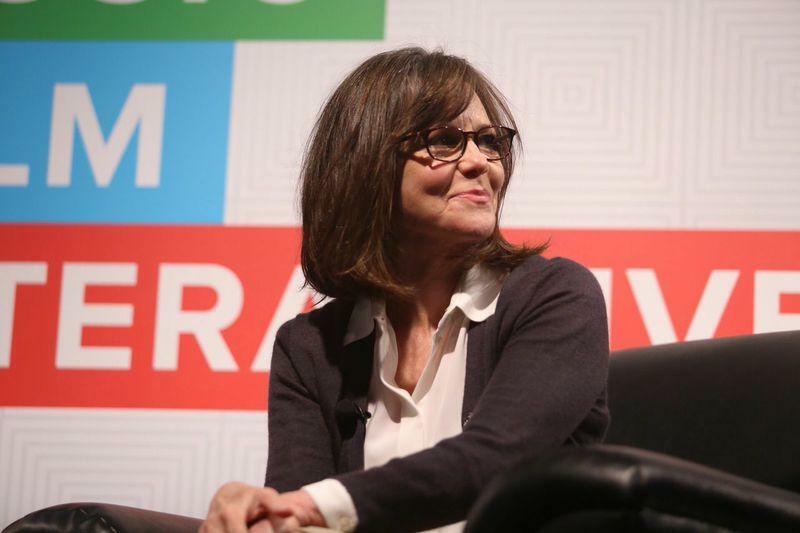 Update (6:15 p.m.): Saturday night, the world premiere of Sally Field’s most recent film, “Hello, My Name Is Doris,” impressed the majority its South by Southwest audience. Read our review here. 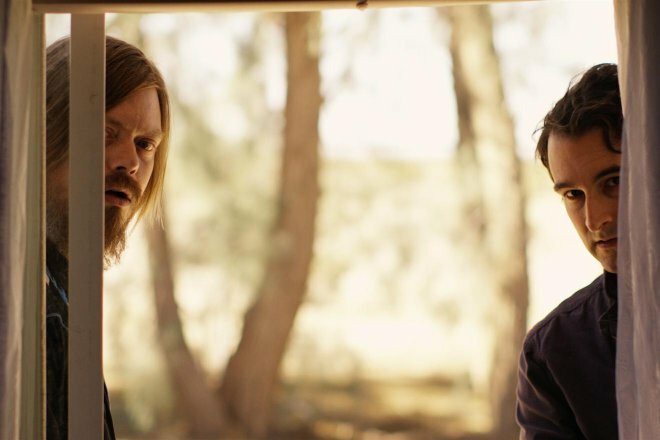 On Sunday, Field and the film’s director and writer, Michael Showalter, sat down to discuss the movie and Field’s 53-year-long career. 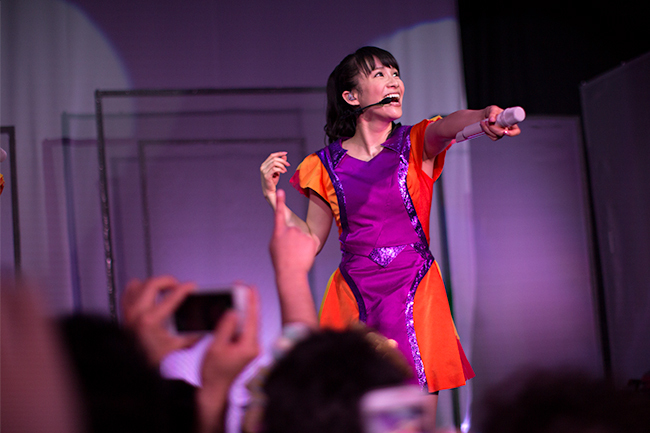 “I’m here, because you’re here,” Field said, spreading her arms out toward the audience. Click here for more from the discussion. Update (5:50 p.m.): Four years ago, Austin music teacher Quentin Thomas-Oliver went looking for a drummer willing to play the type of music he wanted. When he couldn’t find one, he built one. His two homemade robotic drums make up 50 percent of the band Pony Trap. The other two members are Quentin and his wife, Hillary Thomas-Oliver. The husband, wife and their robot band mates spent Sunday afternoon walking up and down Sixth Street promoting their show at The Dive on Friday. Read more about Pony Trap here. 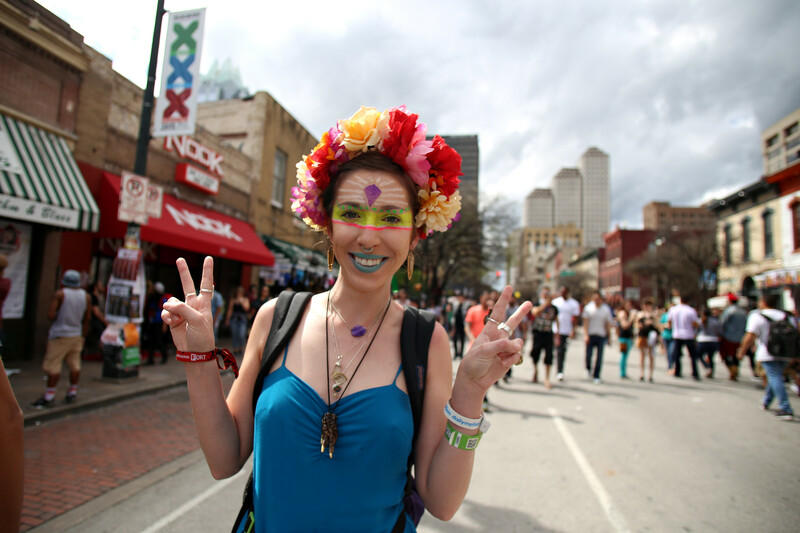 Update (3:30 p.m.): Tired of the typical SXSW events and crowds? While SXSW offers a lot of the same features, it's still an Austin festival — there's bound to be something weird going on at any given time. Click here to read our roundup of some innovative events. Update (2:15 p.m.): “Quitters “is full of messed up people. There’s Clark, a teenager who is a selfish, controlling creep. His girlfriend, Natalia, is struggling with accepting her father’s death, while Clark's ex, Etta, is sleeping with her English teacher in order to distance herself from her parent’s collapsing marriage. What follows is a slow-as-molasses tale of teens trying to find their proper place in the worlds. 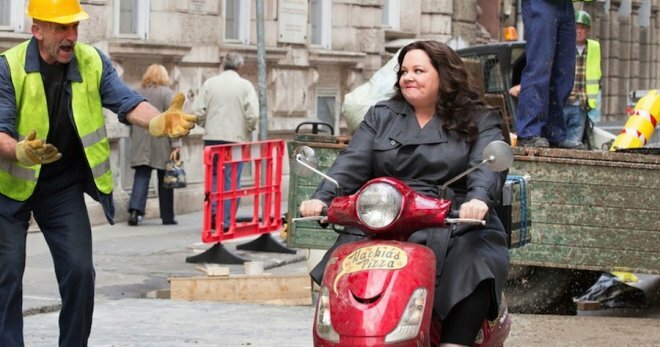 The great characters in the film save it from being a dull, pretentious movie. Yes, Clark is a social-awkward and unlikeable weirdo, but he clearly expresses his dilemma of finding a home that possess what he believes is “intellect.” “Quitters” may not be the most accessible film for everyone, but it is an interesting portrait of wealthy, spoiled teens going to pieces as everything crumbles around them. Update: (2:00 p.m.): "Ex-Machina" premiered today at the festival. 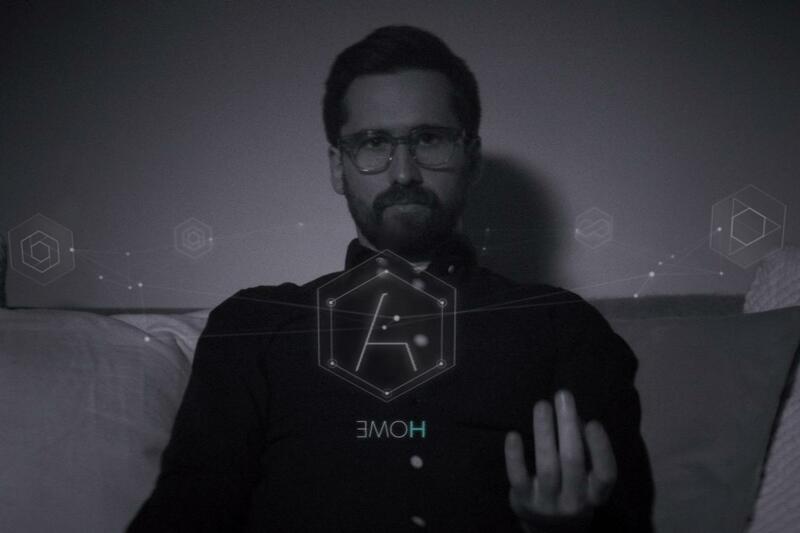 The film tells the story of what happens when the line between human and machine blurs. While there are some flaws, the movie stands out as a both a sci-fi and psychological thriller. The acting is solid, the visuals are stunning, and the plot is inventive. If you didn't get the chance to see it, our movie reviewer, Alex Pelham, provided an apt and thorough review of the film. Read his full review here. Update (1:15 p.m.): Did you miss the festival yesterday? If not, do you want to relive it? Check out our slideshow of Satruday's events from the film and interactive sections. Update (12:30 p.m.): Mark Duplass gave some interesting advice to young filmmakers. He emphasized the importance of a well-rounded education, diverse interests and financial intelligence. Despite being a filmmaker, Duplass warned against majoring in film. Rather, he suggests, one ought to study Spanish or Mandarin, and film should, at most, be one's minor. Our Life&Arts editor, Kat Sampson, rounded up the best of Duplass' advice. Read his words of wisdom here. Update (11:30 a.m.): South By Southwest can be overwhelming for even the most battle-hardened festival-goer. Be sure to take some time to rest and recharge. Click here to read about some convenient getaways that will let you relax away from SXSW. Update (10:50 a.m.): Live tweeting will begin at 10:50 for actor Mark Duplass' keynote event. Follow @katclarksamp to catch the event's highlights. Duplass will talk about changing models in the television and film industries. At 11 a.m. I will begin live tweeting Mark Duplass's keynote address. He's the guy from all your favorite independent movies and The League. Update (10:30 a.m.): It’s Sunday, and you know what that means: brunch. Unless you’re going to South By Southwest, in which case, ain’t nobody got time for that. Grab a breakfast taco for the perfect fuel to power you through day three of SXSW. Staff foodie Elisabeth Dillon recommends six tacos to try while you’re in Austin for SXSW. Update (9:55 a.m.): Good morning! It’s day three, and we hope all of you aren’t as sore as we are. Mark Duplass Keynote — Director and producer Mark Duplass will discuss the ever-changing film and television industry. When and where: 11 a.m. at the Vimeo Theater. Love and Mercy —This film follows The Beach Boys’ lead singer and songwriter Brian Wilson’s successful but costly career, featuring John Cusack and Elizabeth Banks. When and where: 2:15–4:15 p.m. at the Paramount Theatre. David Carr commemoration — As a tribute to the late New York Times’ columnist, "Page One: Inside The New York Times" will screen followed by a talk with CNN’s Brian Stelter and UT’s School of Journalism director R.B. Brenner. When and where: 5:30–7:30 p.m. at the AT&T Convention Center. Above Average: A comedy-filled evening hosted by Amy Schumer and Judd Apatow, along with additional members of the Upright Citizens Brigade Theatre. When and where: 8 p.m. at Esther's Follies. 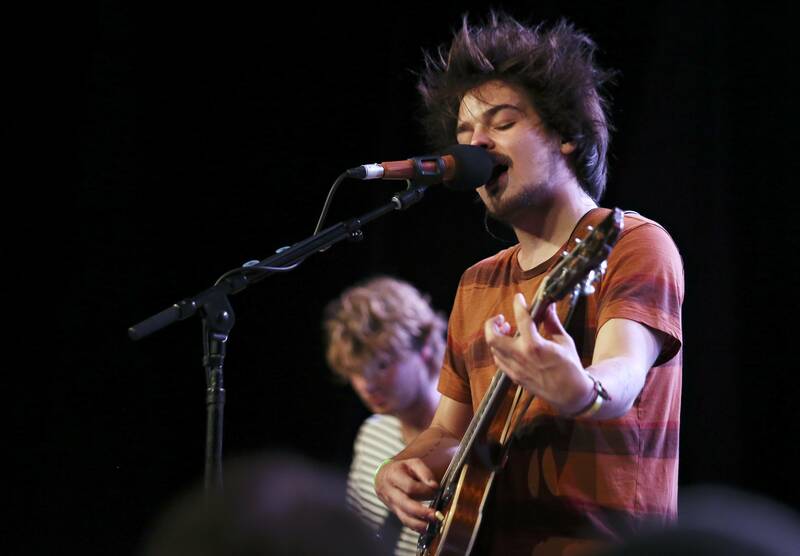 Update (9:30 a.m.): The front end of South By Southwest is filled with films. Having trouble making sense of all the different types at films at the festival? Wondering what to watch? We recommend “Sweaty Betty,” an entry in the narrative feature category that is showing at 1:30 p.m. at The Alamo Ritz. Read our categorical breakdown of films at SXSW for a complete breakdown with our recommendations. Update (9:00 a.m.): Weather Report: Looks like today will err on the cooler side, with consistent cloud coverage and temperatures staying below 70 degrees. Wind will pick up throughout the day, so hold on to your hats and consider saving that sundress for tomorrow — lest you have a Marilyn Monroe moment. Check the full weather report here. Update (8:22 a.m.): Anyone who’s done South By Southwest knows how exhausting of a festival experience it is. Between film premieres, secret shows and food trucks, there’s never a dull moment. But if you think this is exhausting, talk to one of the thousands of volunteers who help make SXSW possible. They may be taking your ticket or helping at the Austin Convention Center. They do it for love of the festival – and a free badge. 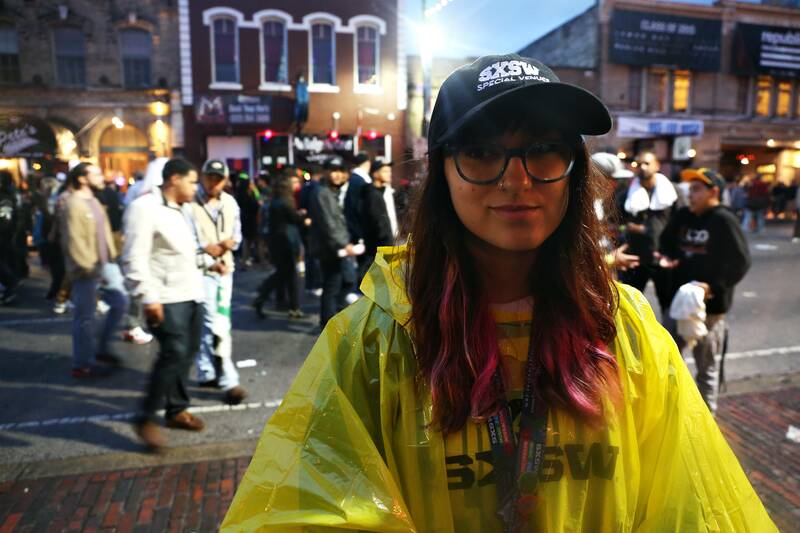 Read more about the SXSW volunteers program here.